Home Photos Snow Returns Tomorrow! Snow is in the forecast finally! After several days of heavy rain, Old Man Winter returns and looks blanket the region in a coat of white. 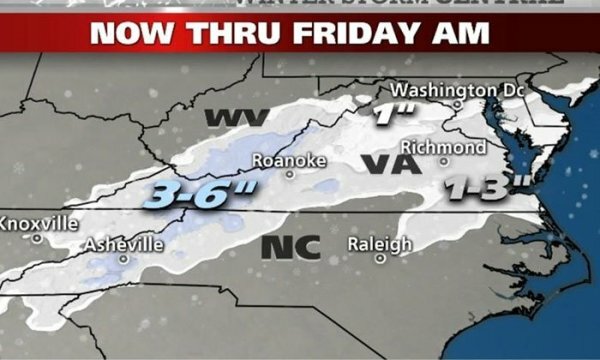 This image shows the snowfall forecast from the Weather Channel. Locally higher amounts are definitely possible! Previous Post The Region is Going to See a Good Soaking Over the Next Few Days Next Post It’s Sunny, But Frigid on Beech Mountain!